As can been seen from the cover this is a selection of magazine essays collected from an 18 year period. The majority of the articles are book reviews, with some critical fan boy pieces on his favourites like James Joyce. But what ever he's writing about, its informative, well researched and makes sense. There are roughly 200 essays in this collection so there's something for everyone who reads. Some of the best criticisms are reviews of dictionaries, yes he read entire dictionaries! People criticize e-readers like Kindle but the dictionary function is invaluable when reading something by Burgess. He has such a monster vocabulary I spent much time doing manual dictionary searches to understand what he was saying-that's the drawback when reading a hard copy. 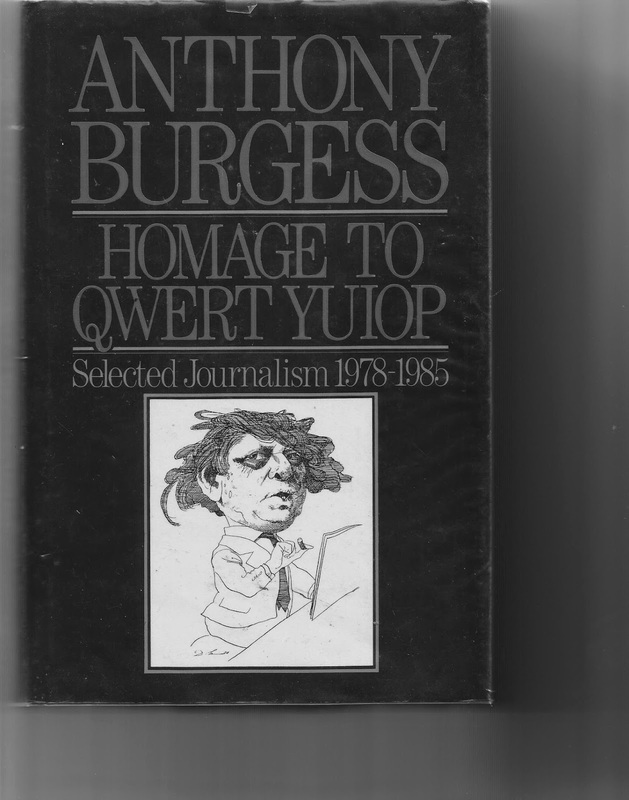 Burgess, a polymath, did so much,wrote with brilliance and originality, brain the size of a continent but by his own admission" Cannot understand homosexuality", I found this strange and amusing that something as simple as this had him flummoxed.